3D printing has skyrocketed over the years and it is a part of space travel in numerous of ways. In fact, NASA was already using the technology even before it was made public in the market. 3D printing has been quite the main subject when it comes to colonizing the space, especially for Mars when there were contests for those architectural concepts. In the past, ESA had been quite busy when it comes to colonizing the Moon and with the recent partnership with an architectural firm Foster + Partners that will aid in this project and can give an idea of how can this succeed with the concept of robots digging for moon dirt or the regolith as construction material. Currently in ESA’s project, the company has brought in additional resources in pursuing the dream of colonizing the moon via humans working hand in hand with robots. Even though the world is now focused on the venture to Mars because of the “The Martian” movie, the idea of colonizing the moon might as well be very real and considering the countless talks over the project and building infrastructures. The project shed light recently in Noordwijk, Netherlands at the European Space and Research and Technology Center. During the conference entitled Moon 2020-2030- A New Era of Coordinated Human and Robotic Exploration; the Director General of ESA, Jan Woerner, talked about the vision of the group foresees in colonizing the Moon. Woerner added that future space ventures need a new vision and that is to have a working system other than the Space Station. Having a Moon Village does not mean building houses, churches and so on. The idea deals with the concept of a village wherein people work together and live together in the same area, Woerner added. Having the same goals of public and private sectors of the government. Moreover, the symposium discussed robots and humans in exploring unexplored regions of the Moon. It also stated that the global effort of the ISECG Global Exploration Roadmap is the key to putting this plan into action. 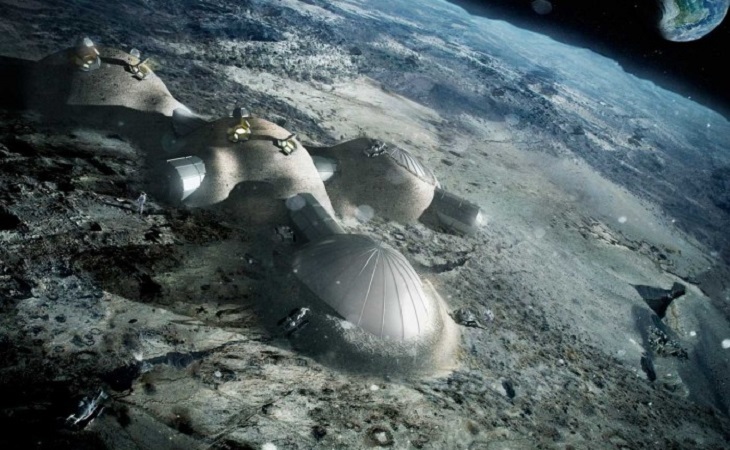 It was once mentioned that building a base on the Moon would be enough for human achievements but creating a community on top of it would surely save billions of funding in future space explorations. In terms of data gathering and exploration, having a territorial aspect of establishing a base on the Moon would benefit the latter in future explorations. There are still a number of questions waiting to be answered but it is a definite factor that 3D printing would play a huge role in the process when it comes to the materials that are going to be used in the expedition. In time, ESA will surely make this dream of living on the Moon a reality.